Modern, luxurious and beautiful …. probably the three best words to describe the city of Dubai. 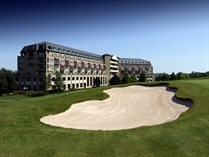 If you are looking for something really special for your golfing holiday this year, then look no further. With five-star hotels, golf courses and leisure facilities, guaranteed sunshine, beautiful beaches and Arabian hospitality, Dubai offers a unique holiday adventure. As one of the seven emirates which make up the United Arab Emirates, and home to a large expatriate population, Dubai is a cosmopolitan city with a distinctive culture blend of old meets new and East meets West. 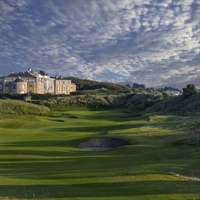 At only 7 hours away, why not shoot off for 4 or 5 nights to escape the worst of the British weather and experience great golf on some of the best kept courses in the world. Founded on maritime trading, the emirate has welcomed visitors to its hot, sandy shores for hundreds of years. Today this entrepreneurial tradition remains strong and visitors are guaranteed to be charmed by the warmth and hospitality of ‘the city of merchants.’ Did you know the C.I.A. deemed it the safest city in the world and with its many Clubs, the nightlife is better than most in the West! From holidaymakers seeking a break in the sun to adventurers hunting for their next rush of adrenalin, Dubai has something for everyone. There are few other destinations that can offer such excitement combined with real relaxation in these exquisite surroundings. Rainfall is infrequent and irregular, falling mainly in winter. Temperatures range from a low of about 15C/59F to a high of 48C/118F. The average daily maximum is 24C/75.2F in January rising to 41C/105.8F in July, perhaps a little warm for most golfers in the summer at midday! 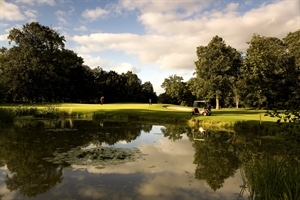 Why not try one of the floodlit evening courses when the temperature might suit you better. You are in for a treat when playing these immaculate courses. The combination of extremely well kept fairways and greens, beautiful scenery, great service and a warm welcome make golfing in Dubai an experience not to be missed.